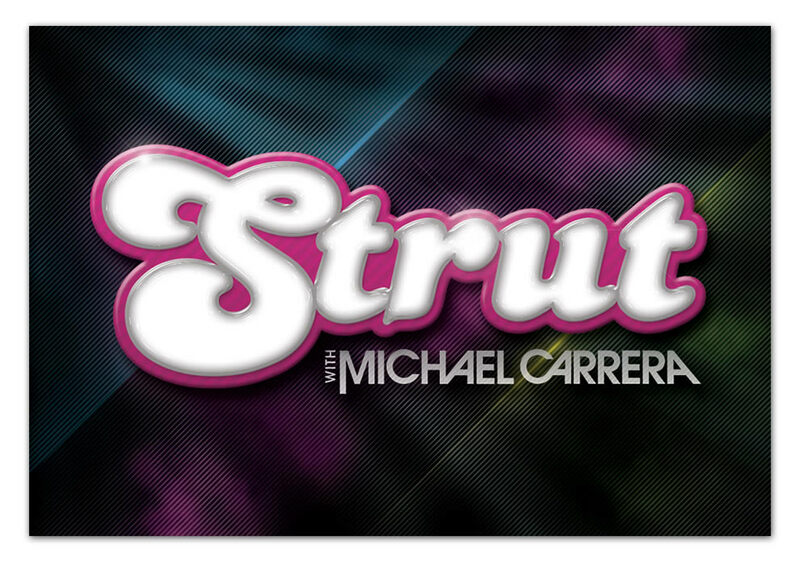 Here’s the latest flyer I created for Michael Carrera for his new night in San Diego called ‘Strut’. The first image is the original concept I came up with. 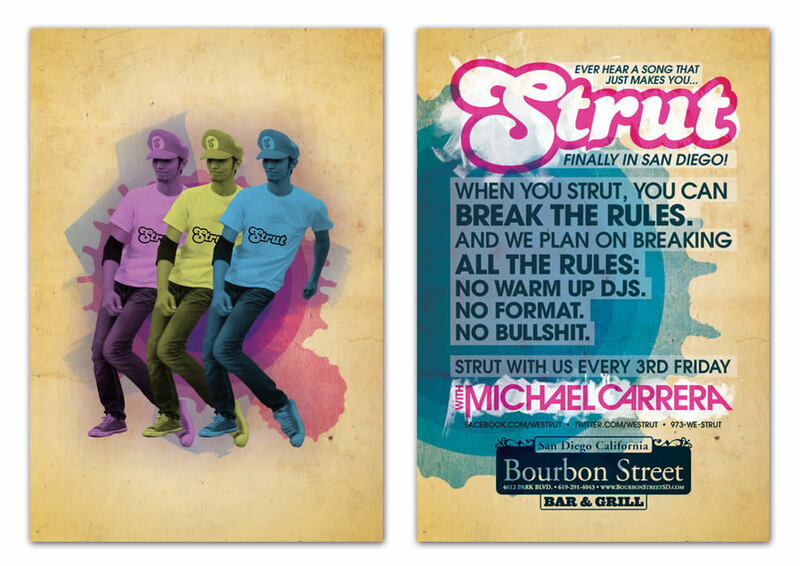 As you can see there was quite a departure to come up with the second images, which are the actual front and back of the flyer.